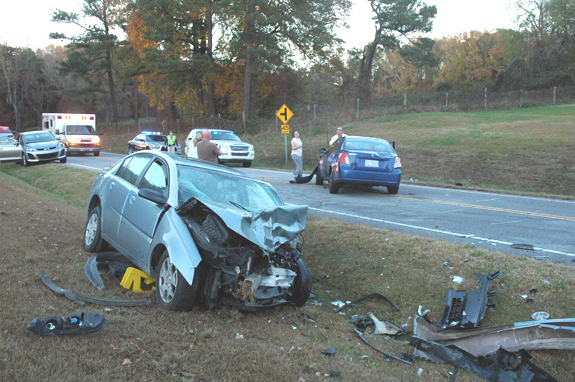 A Louisburg woman died at a Raleigh hospital Wednesday evening following a head-on collision. According to a report by Trooper C.E. Garner, 24-year-old Daquan Nixon was driving north on U.S. 401 near the Huntsburg subdivision south of Louisburg when he crossed the center line, crashing head-on into a car driven by Paula Efird. Rescue units used hydraulic equipment to free the 45-year-old woman from the vehicle. Both Nixon and Efird were taken to WakeMed Hospital. Efird died a short time later, authorities said.